Working with an engineering recruiter to find a job, has significant career advantages over simply posting your resume on the standard job search websites. DAVRON specializes in placing engineers, architects, construction leaders, and related industries and at NO cost to the candidate. 1. Engineering recruiters will introduce you to hiring managers and decision makers. Working with an engineering recruiter introduces you to their client and makes you stand out from the crowd. You are presented by the client’s trusted source as a ‘Candidate of Choice’ rather than through your own introduction. First, the recruiter will screen you to thoroughly understand your background, expertise and job requirements so that no one’s time and attention goes to waste. The recruiter will match you to the job. The Recruiter’s credibility with their client is a foundation of their ability to provide qualified, available and interested candidates so the client is focused only on a winner to interview. 2. Engineering recruitment opportunities offer you security and confidence. A company paying for a search is usually financially strong, ready to hire and committed. Our clients want the best candidate, not just any candidate, and they are willing to pay for the perfect match as it is often a critical position. They will pay for pre-screening, searching and coordinating interviews and on-boarding in the least amount of time. 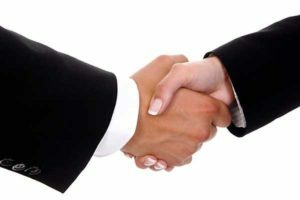 The recruiter and client often have a strong relationship based on past success and the ability of the client to pay for such one-on-one service. 3. Engineering recruiters can offer hidden job leads. Most higher paying vacancies are either confidential or simply not posted on the internet. Candidates posting on Monster and CareerBuilder often have little genuine interest in changing jobs. Clients don’t want to be deluged with irrelevant resumes. 4. Engineering recruiters will prepare you for success. An engineering recruiter’s income depends on landing you the job. They know what skills, salary and other key details that the client is searching for and can ensure that you don’t waste your time applying for a job with different or undesired qualifications. Recruiters will work closely with their clients to prepare job descriptions, understand benefits, cold calling and searching both the public domain and private sites. The recruiter will also help you refocus your resume toward job requirements. Most resumes are “one size fits all” and include information on areas of little or no interest to the client. Working with an engineering recruiter ensures your resume informs and explains why you’re the best candidate for the role. An engineer recruiter’s compensation always depends on finding the right candidate for their client. The recruiter understands the employer’s range of pay and benefits as well as your needs. Therefore, the recruiter is a matchmaker and can only succeed if both parties are happy with the outcome. Working with an engineering recruiter serves as a communication channel between you and the company. If either party’s needs must be refined or redefined, the recruiter takes quick action to notify the other of the change and how it may affect the match. It’s all about handling the details and communicating essential information to both parties in order to make the perfect match. 7. Engineering recruiters offer services at NO COST to the candidate. If you are ready to see how DAVRON can work for you, then submit your resume to provide us with your resume. We specialize in placing engineers, architects, construction leaders, IT and related industries and at NO COST to the candidate. Our clients depend on us to find that perfect match and pay us to find that unique skill and talent. If you would like to explore our available job opportunities, please call 1-888-9DAVRON to speak with a recruiting expert. Or you can also submit a current resume to one of our job postings. 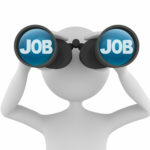 Add your resume to be included in our search database. We will review our opportunities for any potential matches, and contact you when we find one! Don’t forget to view our job openings for the latest opportunities! Subscribe to job alerts and be the first to know when new opportunities are added! We focus and staff for engineers like you! DAVRON recruiters speak the language of engineers and architects. We also understand and staff for many levels of construction professionals. We believe success comes from introducing our candidates to organizations capable of providing supportive colleagues, rewarding work and corresponding values. DAVRON has the personality and environment that supports individuals seeking new challenges and progressive work. Our focus is engineering, architecture, construction and manufacturing automation professionals and the related administrative staff who support them. Technical recruiting firms have distinct personalities generated by the character and spirit of their recruiter staffs, the style and values of the employers they represent, and the firms’ level of commitment to discretion and professionalism in matching candidates to rewarding careers – not just new jobs. Our goal is to match individuals with diverse and expansive technical backgrounds in engineering, architecture, construction, finance/accounting and manufacturing to exceptional work environments permitting them to thrive in intellectually challenging places to work.